FutureGov, NHS England & NHS Digital working together at the kick-off meeting. FutureGov is excited to be working with NHS England and NHS Digital, designing a vision for better urgent and emergency care. Together, we aim to uncover and prioritise the opportunities where digital can make the most impact to deliver better outcomes for patients and staff, and help people live healthier lives for longer. There is a real opportunity for digital to take an end-to-end, person-centred approach that cuts across care services, channels and the ecosystem of commissioners and providers. Our shared ambition is to design integrated journeys and a roadmap for change, so that anyone experiencing an urgent or emergency episode can get the right help, in the right place, the first time. FutureGov, NHS England and NHS Digital are working together as a blended team, with diverse roles including clinical, design, digital, change, delivery and data. Sam Sham, the Director for Digital Development at NHS England and Senior Responsible Officer for this programme, introduced this crucial work in a great post, first shared on the NHS Digital blog, and added below. 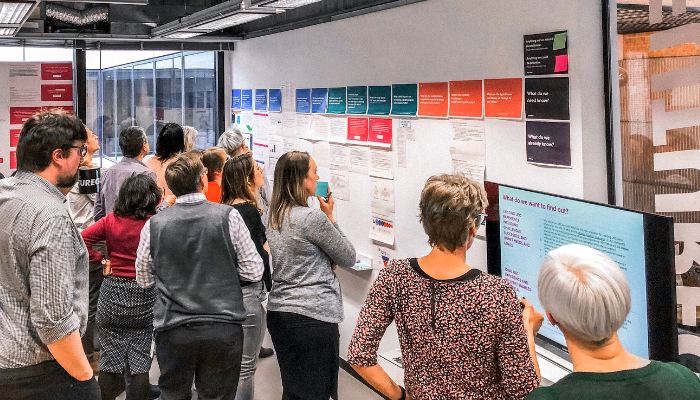 Colleagues from across NHS England and NHS Digital will be working with FutureGov who demonstrate the value of person-centred design, digital and change in transforming public services. If you would like to contribute to this research or receive regular updates, please email Dr Joanna Choukeir, Health Director at FutureGov, and join us at the DUEC2019 Conference on 14 May 2019. Driving a patient-centric view to improve technology in healthcare was originally published in FutureGov on Medium, where people are continuing the conversation by highlighting and responding to this story.